"I ran over them with my truck so I could eat them for dinner." The United States suffers from many deficiencies, most notably an utter disdain for anything remotely either moral or intellectual, but a scarcity of food certainly is not one of them. In fact, obesity is at epidemic proportions even amongst the poor. 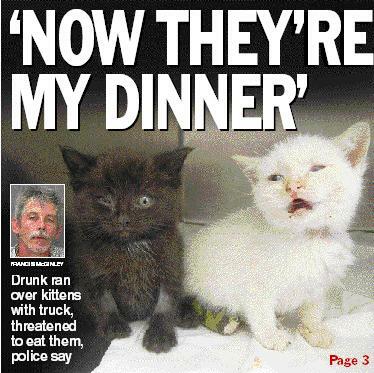 Even McGinley's claim that he ran down the kittens has been called into question. For example, Chester Animal Control officer Dave Schlott believes that McGinley attempted to squeeze the life out of them. If that indeed was his intent, his plan almost succeeded. Although the black male, Karma, was not injured too badly, his sister, Nirvana, had blood in her mouth and her lower lip was torn. In fact, she was in such bad shape that the cops erroneously pronounced her dead upon their arrival arrival on the scene. "When I picked them up, they were both cold. 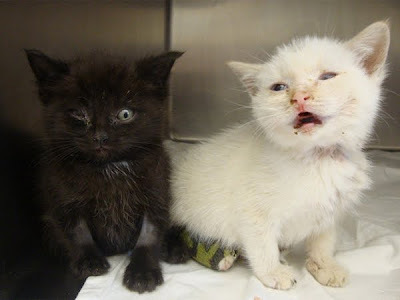 The black one was moving, but the white one was very still," Schott, who rushed the kittens to Keystone Veterinary Emergency and Specialty Center in Haverton, told the Daily Times in the article cited supra. "She was breathing once every forty seconds and had a very faint heartbeat." Nirvana initially was placed in an incubator but it now appears that she is going to live. "She's very vocal," Calgiano told the Daily Times. "We think they'll be okay. They're being monitored and we're hoping for the best." "Since when was it a crime to get drunk, officers?" was McGinley's initial response to arresting officers according to the Daily Times. That question was primarily rhetorical, however, since he has been arrested numerous times in the past for, inter alia, public drunkenness, drunk driving, disorderly conduct, and harassment. 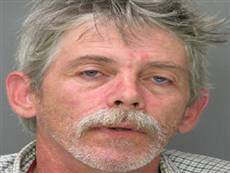 He therefore should not have been surprised when the Chester Police subsequently charged him with animal cruelty, public drunkenness, recklessly endangering the life of another person, disorderly conduct, and harassment. 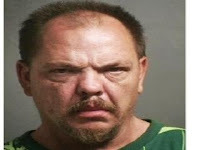 He was released from jail on October 18th after posting ten per cent of his $20,000 bail and was scheduled to have had a preliminary hearing before Magisterial District Court Judge Spencer B. Seaton on October 27th. After a night in the can had sobered him up considerably, McGinley soon was singing an entirely different tune. In particular, he now is claiming that he brought the kittens home in order to feed them after someone else had run them down. 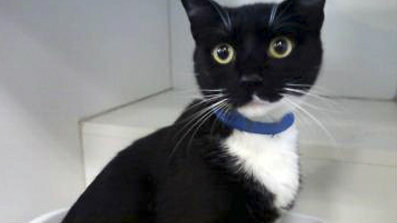 Upon investigation, they discovered a four-year-old black and white male cat named Navarro trapped in a cage. Although there is nothing at all unusual about that, they were astounded to discover upon closer observation that the cat was marinating in a mixture of crushed red peppers, chili peppers, salt, and oil. Korkuc was charged with one count of aggravated animal cruelty and given a desk appearance ticket. After his arrest he made several contradictory, off-the-wall assertions aimed at justifying his aberrant behavior. He first of all vociferously denied that he was planning on eating the cat. "No, no that's conjecture and that's an assumption," he swore to WGRZ-TV in the article cited supra. Instead he claims that the cat, which he insists in the face of all evidence to the contrary is a female named Kinsey, was "mean" to him, "possessive, greedy, and wasteful." He also claims that the male cat was pregnant and had miscarried. "That was its blood and feces, and I was taking it back over to the SPCA when they (the police) stopped me," he added. It is an open question as to whether Korkuc is either off his rocker or merely rehearsing an insanity defense. Despite all of his non sequiturs, he steadfastly maintains that he is not insane. "They can make it out any way they want to, but I'm not crazy," he told WGRZ-TV. Browning is far from being convinced, however. "We've heard some really bizarre stories, but nothing like this," she told the Buffalo News on August 11th. (See "Cat Moves Off Menu, into Home.") "It's (sic) clearly not someone who was in his right mind." In the final analysis it should not make any difference whether Korkuc is mentally competent or not. He abused Navarro and in all likelihood would have killed and eaten him if the police had not intervened. After all, mental illness is not any more of a valid excuse to abuse cats than drunkenness. "I got him home now, and he's just looking and exploring like crazy. He's really passive and not aggressive at all," she told the Buffalo News in the article cited supra. "He's absolutely beautiful." Dankowski has renamed him Oliver and given him a bed and a litter box. For a playmate, he has her six-year-old female, Anna Belle. Although it has come under criticism for giving Oliver to Korkuc on May 11th, the SPCA's Barbara Carr nevertheless defends the organization's adoption procedures. "During our screening process this person presented themselves (sic) as a normal human being," she told WGRZ-TV in the article cited supra. Therein lies the rub, as Hamlet would argue. Individuals that are obviously crazy are easy to weed out but it is the ones that appear to be normal that do the most damage. For instance, when former Republican Majority Leader Bill Frist of Tennessee was studying medicine at Harvard he adopted cats from shelters under the guise of giving them a good home but instead took them back to his laboratory and experimented on them. Accordingly, no adoption procedures are foolproof. Korkuc will not, however, be getting any more cats from the Erie County SPCA. "Do not under any circumstances adopt to this man ever again," a new memo mandates. 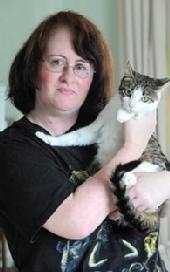 (See Buffalo News, August 10, 2010, "Traffic Stop Saves Cat from Owner's Plate.") "...This man is a danger to animals...was soaking cat in marinade to 'cook'." In Suffolk County on Long Island, legislators voted on October 12th to establish what is believed to be the nation's first animal abuser registry. Modeled after the various Megan's laws that have been in existence in all fifty states for roughly the past fifteen years, the ordinance will require that all convicted animal abusers over eighteen-years of age register with the Suffolk County SPCA. Those who fail to do so will be subject to either a year in jail or a $1,000 fine. The registry will be financed by levying an annual $50 fee on abusers. County Executive Steve Levy is expected to sign the bill and a companion piece of legislation which would require pet stores, breeders, and shelters to consult the registry before either selling or adopting out animals is expected to be voted upon by the lawmakers next month. Despite Otto's highfalutin rhetoric, the law is primarily hortatory and of limited utility. After all, there is not any shortage of either homeless or roaming cats and dogs for repeat offenders to surreptitiously get their hands on and abuse. It also is doubtful that those unscrupulous individuals who traffic in cats and dogs at a time when this society is systematically exterminating millions of them each year are going to turn away customers who are known to them to be abusers. After all, they are by definition abusers and exploiters themselves. Most glaringly, the registry does absolutely nothing to thwart either first-time abusers or serial criminals who are able, for one reason or another, to successfully evade the law. What is needed is a nationwide law which bans the killing and abusing of cats, dogs, and other animals under all circumstances and regardless of their socio-economic status. Equally important, humane groups, the police, prosecutors, judges, juries, and legislators need to not only strengthen but to vigorously enforce existing anti-cruelty statutes and anyone with so much as half a brain knows that is not about to happen anytime soon. It is axiomatic that if society paid the same lip service to assaults, robberies, and murders that it does to animal cruelty no person's life or property would be safe for a minute. Although the United States Supreme Court in 2003 upheld the constitutionality of Megan's laws in Smith v Doe, not only has the efficacy of such registries been called into question but their fundamental fairness as well. In particular, individuals who commit crimes and serve their sentences have fulfilled their debt to society and should not be relentlessly hounded for the remainder of their days. 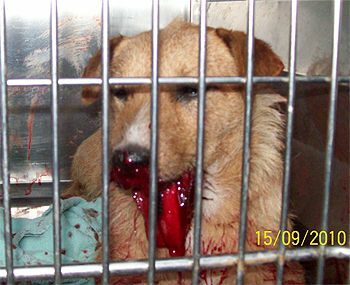 If the penalties for abusing animals are too lenient, they should be strengthened. Likewise, serial animal abusers should not be allowed to walk the streets any more than child molesters. The halfway house proposed by measures of this sort places the responsibility for monitoring criminals in the hands of the public and therefore is an abdication of the job governmental officials are paid to perform. Moreover, under Megan's laws some vigilantes have assaulted innocent individuals solely because they had similar sounding names to those of convicted felons. Other individuals who have served their time have been unjustly fired from their jobs and evicted from their homes because of these registries. The law in Suffolk therefore is small potatoes at a time when bold initiatives are needed. That is not to imply, however, that it will not save some lives. In Switzerland, which like the United States has one of the highest per capita incomes in the world, numerous individuals consume cats and dogs as well as traffic in their pelts. Their barbaric behavior therefore cannot be attributed to hunger any more than that of McGinley and Korkuc. Either ailurophobia or a perverted taste for the usual therefore must be the motivation for slaughtering and eating cats. In either case, such a backward step into the abyss of savagery should be strenuously combated. Finally, it is indeed ironic that at a time when activists in China are working to stamp out the trafficking in feline flesh that some Americans are embracing the very same odious practice. Photos: WCAU-TV of Philadelphia (McGinley and Karma and Nirvana), The Delaware County Daily Times (news story), WGRZ-TV (Korkuc and Dankowski), and the Erie County SPCA (Oliver). "She (the RSPCA inspector) just grabbed him off the street, bundled him into a van and had him destroyed." The chain of criminal events began at 6 p.m. on August 31st when Ann Baker of Church Avenue in Selby, nineteen kilometers south of York, let out Nightshift to play in her garden. As best it can be determined, he was shortly thereafter picked up by a female agent of the RSPCA who drove him around in her van for close to ninety minutes before taking him to an unidentified veterinarian. After a quick examination, the vet concluded that Nightshift was suffering from kidney and respiratory problems and could not under any circumstances be permitted to go on breathing for another minute. As a consequence, by 7:30 p.m. he was dead. 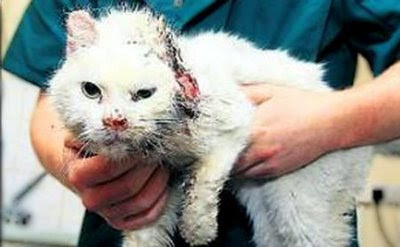 Baker was clueless at first as to what had happened to the cat that she and her late husband had taken in as a stray way back in 1992 but that was before a neighbor informed her that an RSPCA van had been spotted in the neighborhood that day. 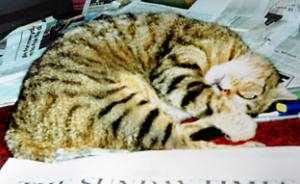 Even then Baker, for unexplained reasons, was unable to reach the RSPCA until the next day. The RSPCA's ludicrous claim that Nightshift was in poor health and suffering mightily is contradicted by Baker who claims that his "fur was healthy (and) his eyes were clear." Moreover, she had just shelled out more than £100 the previous day, August 30th, in order to have her vet attend to his cold. Since he was at least eighteen years old, which in human terms would make him roughly eighty-eight years old, it certainly would have not been surprising for him to have had a cold and some deterioration in his kidneys. In fact, most men over fifty experience those types of ailments and yet no one would dare to suggest that they be rounded up and exterminated. Moreover, it is not out of the ordinary for a cat to have a case of the sniffles, especially in cold and damp climates such as Yorkshire. The vast majority of respiratory ailments, however, are contracted in overcrowded and unsanitary shelters. Regardless of the venue, the RSPCA, shelters, and veterinarians regard minor respiratory infections as bestowing upon them a carte blanche authority to get out the sodium pentobarbital. Old and weak kidneys are not anything to worry about either. The only difficulty arises when owners are either too lazy or selfish to clean up after cats that become incontinent and there certainly is not any evidence to suggest that Nightshift was missing his litter box. As things now stand, the RSPCA is allowed to determine which cats are healthy and which ones are too ill to go on living and the only appeal of its totally arbitrary decisions is to heaven. "Generally, if an RSPCA inspector finds a healthy cat then it is kept for seven days while we make inquiries and endeavor to track down an owner, but this cannot always be the case if an animal is very ill or injured and needs immediate veterinary treatment," an unidentified spokeswoman for the organization explained to The Press in the article cited supra. That is pure rubbish! The RSPCA most definitely has the means and resources to transport sick and injured cats to a veterinarian for treatment while it simultaneously conducts a proper and thorough investigation in order to locate their owners. It is unwilling to do so because it fears that it will not be financially compensated for treating, sheltering, and feeding cats that either are homeless or belong to the impecunious. With that type of business model, the RSPCA is at best a predatory capitalist institution and at worst a pack of latter-day neo-Nazis operating a Buchenwald for cats and calling it a shelter. "...in their behavior toward creatures, all men were Nazis," Issac Bashevis Singer once wrote. "The smugness with which man could do with other species as he pleased exemplified the most extreme racist theories, the principle that might is right." Suffice it to say that the RSPCA is anything but an animal protection organization. All of that could potentially change if Baker decides to go ahead with her contemplated lawsuit against the RSPCA. Should that come to fruition, her veterinarian surely would be subpoenaed in order to refute the blatant lies of the RSPCA and the veterinarian that stooges for it. 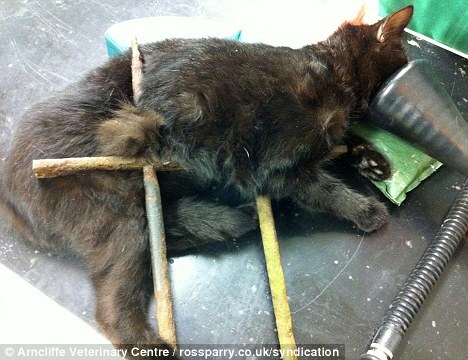 "Yet another stupid mistake by the so-called RSPCA. The RSPCA really do need to look at their procedures and find out why they make so many stupid mistakes," the editor of Moggies opined October 13th on the organization's web site. 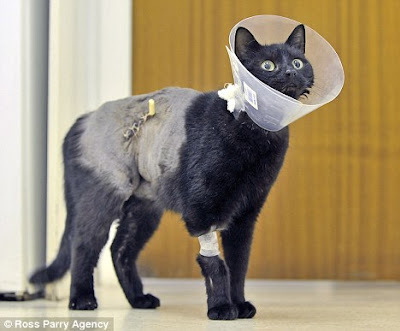 "Some veterinary surgeons are quick to say a cat needs to be put to sleep, when in fact the cat can have a perfectly normal life for years to come. I know this by personal experience with so-called vets." That is another outright lie! Nightshift's fur, weight, age, and friendly demeanor coupled with the fact that he was picked up in a residential neighborhood all pointed to the inescapable conclusion that he was someone's beloved companion. The one thing that microchips are good for is turning a fast and easy buck. The manufacturers of the chips and scanners that read them cash in on one end while veterinarians and shelters make out like bandits on the other end. Veterinarians also rake in an additional bonus when they are called upon to treat cats and dogs that have developed cancer as the result of these harmful and unnecessary implants. That atrocity was precipitated by a new next-door neighbor of hers in Ruislip, Middlesex, who objected to Mork frequenting her precious little garden. Always willing to be of service whenever there is a cat to be killed, the RSPCA trapped Mork and drove him around in its van for two and one-half hours before finally killing him. As was the case with Nighshift, the organization falsely claimed that he was old, sickly, and a stray. "I was in tears. 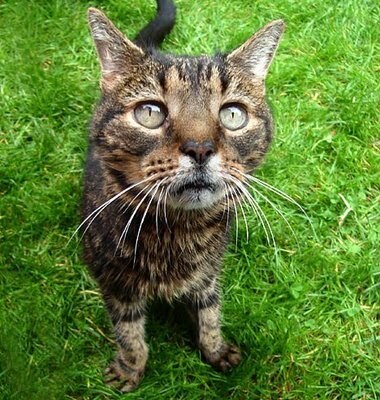 He (the RSPCA's agent) tried to defend himself saying the cat didn't have any teeth and was old but it was ridiculous," Parker-Brice said at that time. "You only had to look at his nails which had been clipped and his glossy coat to see that he wasn't a stray." For that dastardly act, the unidentified ten-year veteran of the RSPCA was given only a written reprimand which further incensed Parker-Brice. "He should have been sacked. There's no way he should be allowed near animals," she protested in vain. The RSPCA claimed at the time that whenever one of its henchmen seizes a cat it is correspondingly obliged to put up "Lost Cat" posters and to leaflet the neighborhood. That certainly was not done in Ruislip and, judging by events in Selby, is no longer the organization's policy. Like Baker, Parker-Brice for a while considered instigating legal action against the RSPCA but as far as it is known she later abandoned that idea. It is not too late, however, and now would be a good time for her and Baker to join forces and take concerted action against the RSPCA. Besides, there surely must be countless other individuals who have had their cats stolen and killed by the RSPCA as well. Under no circumstances should the organization be permitted to continue committing these types of heinous crimes. The RSPCA's blatant hypocrisy also angered Parker-Brice. "The RSPCA quickly prosecutes anyone who neglects animals yet here it is killing them indiscriminately," she added. Nightshift was special to Baker not only because of the love and companionship that he provided her with but also because he was the last surviving link to the life that she shared with her late husband. At her stage in life she obviously has better things to do with her remaining time than to become involved in a protracted court battle with the RSPCA but perhaps she will be able to find the energy and resources to persevere not only for Nightshift's sake but for other cats as well. There possibly might even be a law firm that would be willing to represent her pro bono. It is not widely publicized but the brand of shocking lawlessness displayed by the RSPCA in Selby and Ruislip is the normal modus operandi of shelters, humane organizations, and police officers all over the world. Their horrendous slaughter of homeless cats and dogs is bad enough in itself but they also kill innumerable family pets as well. Consequently, it is not the least bit surprising that such patently criminal and inhumane behavior is engendering sporadic outbursts of retaliation by aggrieved cat and dog owners. For example, when officials in tiny Hydro, Oklahoma, just west of where famed Route 66 used to be, trapped and impounded seventy-three-year-old Edwin Fry's poodle, Little Buddy Rough and Tough, on October 13th he decided to take the law into his own hands. Although he could have sprung Buddy by paying the $100 fine that he received for allowing him to run loose in the neighborhood, he either did not have the money or for whatever reason did not want to pay it. Instead, he drove his lawn mower to the city pound where he used a pair of bolt cutters in order to free Buddy. Sadly, neither he nor Buddy were able to get very far before they were intercepted by the police and Fry was carted off to the clink while Buddy was returned to the death house. Worst of all, the pound went ahead and murdered Buddy while Fry was still incarcerated. He since has regained his freedom but will have to stand trial on one count of misdemeanor breaking and entering. For their part, the police are wary of Fry but they are neither backing down nor cutting him any slack. "He'd threatened to shoot us before, so I approached him with caution," Hydro police officer Chris Chancellor, who arrested Fry, told The Oklahoman. "I was afraid he might have had a rifle with him." Despite the obvious dangers involved, the historical significance of this event has not been lost on Chancellor. "I've been in law enforcement twenty years and this is the first time I've known of anyone that busted a dog out of jail," he added. Fry's actions are a harbinger of things to come. Many individuals care deeply about their cats and dogs and accordingly are willing to go to almost any length in order to protect them. It therefore is high time that the laws of society better reflected that commitment. The only humane and sensible solution is an across-the-board ban on the killing of cats, dogs, and other companion animals. Anything less will never suffice because if shelters and law enforcement officials are given any discretion they are going to continue to deliberately blur the line between homeless and domestic animals, claim that healthy ones are sick, and that socialized ones are vicious. Photos: Ann Baker (Nightshift), The Press (Baker), and Katherine Parker-Brice (Mork and Mindy). "I still blame myself although I know it was a freak accident. As it was dark under there, we forgot about her being curled up fast asleep." A cat loves an easy chair every bit as much as a human but its next catnap either in or underneath one of them could be its last. That is especially true if the chair happens to be an electric recliner. Neither that belated safety measure nor the arrival of Saffron is going to bring back Sheba, however. "I miss my sweet little girl so much I don't want this to happen to someone else's pet," Wills told the Plymouth Herald. "She was too young to die. She had her whole life to look forward to and would have been absolutely spoilt." Despite those no doubt heartfelt sentiments, Wills already has rationalized Sheba's death and exonerated herself. "I still blame myself although I know it was a freak accident," she added. "As it was dark under there, we forgot about her being curled up fast asleep." Based upon that frank admission it thus would appear that Sheba had a habit of sleeping underneath the recliner and that both Wills and her mother were cognizant of that fact. Sheba's death therefore was far from being the freak accident that Wills claims and she accordingly is guilty of gross carelessness and neglect. After all, it is well-known that cats like to secret themselves away in any available nooks and crannies. Moreover, electric recliners apparently have an appetite for cats, fingers, and toes that is every bit as voracious as that of a garbage disposal unit. Because they are so small and live close to the floor, cats are easily victimized by falling vases, framed pictures, lamps, and other movable objects. They also are very easily stepped on even by attentive owners. Considering Wills' age, she most likely has had numerous other cats previously and therefore should have been attuned to the dangers presented by bringing an electric recliner into her home. Moreover, it simply is asinine that anyone could be so bone-lazy as to want one of them in the first place. First of all, they are a needless waste of energy at a time when the earth is being ravaged in order to mine the coal necessary in order to generate the electricity needed to power them and numerous other superfluous devices. It also is difficult to fathom how individuals as indolent as Wills and her mother are capable of properly caring for a cat which requires, at the bare minimum, a substantial amount of bending and stooping in order to feed and clean up after it. Although it may sound harsh, Wills and her mother killed Sheba just as if they had put a pistol to her tiny head and pulled the trigger. Furthermore, Gables' questionable decision to allow them to adopt another cat is perhaps attributable to the fact that with two-thousand cats and dogs to care for at its eleven-acre sanctuary it already has more animals than it can handle. Tragedies of this sort do not attract the attention that cases of either horrific abuse or gross neglect do but it is undeniable that airheads also kill and injure their fair share of cats. For example, dozens of cats recently have been scalded in washing machines allegedly because of their owners' carelessness. Armchairs and sofas imported from China also have killed an undetermined number of cats in England, France and, most likely, elsewhere as well. That is in addition to claiming the lives of several individuals and injuring thousands of others. The culprit is a fungicide known as dimethyl fumarate (DMF) which is inserted into the furniture in order to retard the growth of mold during both storage and shipment to market. Normally inert, DMF vaporizes when it comes into contact with body heat and even workers handling it are advised to wear protective clothing and glasses. Although it is anybody's guess as to how many cats, dogs, and other household pets have been killed by DMF, the European Union belatedly has banned its importation. Nonetheless, the fact that one-hundred-thousand pieces of furniture containing this deadly chemical were sold in England without any of them being recalled by the regulators means that many of them are still in homes and no doubt killing additional cats and endangering the lives of humans as well. Earlier this year, retailers in England reached a settlement with approximately two-thousand victims that will pay them between £1,175 and £9,000 apiece. This £20 million award, which is believed to be the largest of its kind in English history, only pertains to those individuals who suffered minor injuries. Litigation involving at least another three-thousand victims who suffered severe injuries is continuing. 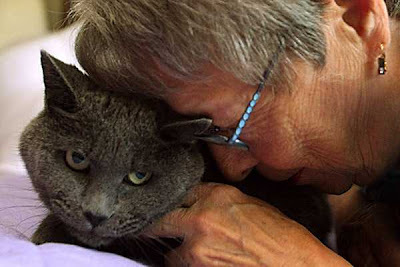 As far as it could be determined, owners who have lost cats have not been compensated so far. 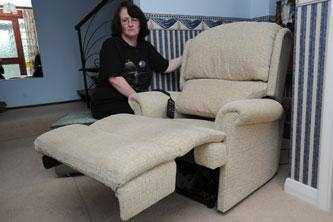 "Many suffered serious health problems simply because of the new sofa they chose. At the start there was a real fear factor, as nobody knew the cause," Richard Langton of Russell Jones & Walker, who represented the plaintiffs, told The Times of London on April 27th. (See "Hundreds Burnt by Toxic Sofas to Share £20 Million Compensation.") "The doctors took nine months to identify the chemical. Some people thought they had skin cancer and were dying." Years ago Dylan Thomas exhorted his dying father "not to go gentle into that good night" but if he were alive today he would need to expand that admonition to include both cats and easy chairs. After all, most people make their quietus while in the sack. It also is important to realize that furniture does not have to be either electric or toxic in order to imperil the lives of cats. In particular, individuals who neglect to thoroughly inventory articles that they are discarding could very well be initialing their cats' death warrants. For instance, when Ann and Wayne Crews of Richmond, Virginia, took receipt of a new bedroom set on Valentine's Day of 2009 they simultaneously had the deliverymen to cart away their old mattress and box-spring. Little did they suspect at the time that their two-year-old cat, Autumn, was hiding inside. As a result, Autumn was forced to spend the next week at Haynes Home Furnishings' warehouse in Williamsburg before being deposited at the city dump in Suffolk on February 20th. Fortunately, Haynes' employees heard her cries for help at the last minute and freed her and she was reunited with the Crewses a day later. On February 9th of the same year, Spokane resident Bob Killion unwittingly donated a couch to a local thrift shop with his cat, Callie, trapped inside. On February 25th, Vicky Mendenhall purchased the sofa for $27 and took it home with her. History repeated itself back in August when sixty-nine-year-old Edmonton resident Timmy DeJordy donated her old mattress and box-spring to the charity Sleep Country. 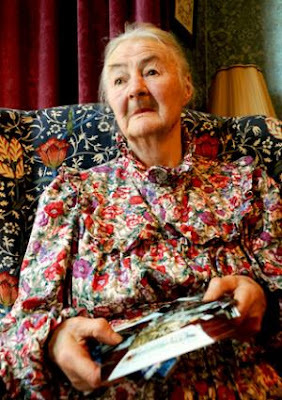 Unfortunately, her seventeen-year-old cat, Precious, was hiding inside the mattress. The lesson to be learned from all of these mishaps is that when it comes to cats and furniture nothing can be taken for granted. Technologically advanced furnishings, foreign imports, and even old castoffs each pose potential hazards for cats. Accordingly, all changes in a cat's environment, but especially new arrivals and departures, should be closely scrutinized. Photos: Plymouth Herald (Wills with recliner and with Saffron) and Bruce Edwards of the Edmonton Journal (Precious and DeJordy). "She stays, of course! She is what makes us unique and signature enough to make the Autograph Collection. Matilda is imperative!" In an age characterized by mergers and acquisitions, unchecked immigration, outsourcing, and technological innovation, job security is pretty much a thing of the past. Consequently, management often gives the gate to employees without so much as a second thought. With that being the Zeitgeist, it is refreshing to see that a loyal, long-term employee of the world famous Algonquin Hotel on West 44th Street in Manhattan has been able to hold on to her job amidst all the upheaval. Although if the truth be told, the hours are backbreaking, as in twenty-four-seven, three-hundred-sixty-five, and the remuneration consists of only room, board, and medical care. 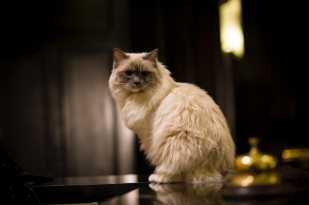 Her name is Matilda and she is the hotel's fifteen-year-old mascot, de facto concierge, and head mouser. 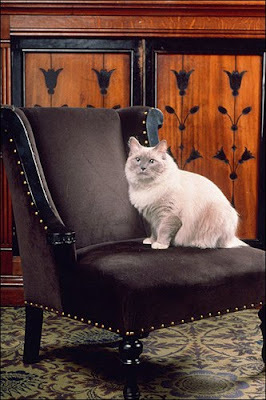 A Ragdoll by descent, she can be found most of the time holding court on her very own miniature chaise longue just inside the front portal on the left. She is the latest in a long line of cats who have called the hotel home ever since former owner Frank Case took in off the street a down-at-the-heel stray named Hamlet way back in the 1930s and subsequently treated him to some much appreciated milk in a champagne glass. In keeping with that compassionate and venerable tradition, all of the hotel's female cats have been named Matilda whereas all the males are dubbed Hamlet. When HEI Hotels and Resorts of Norwalk, Connecticut, sold part of the Algonquin to Marriott last summer concern was voiced about Matilda's future. In particular, since cats are as scarce as hens' teeth on its properties, it was feared that the bean counters at Marriott would begrudge Matilda her daily ration of fish and milk. After all, Marriott has done for innkeeping what McDonald's earlier did for restaurateuring. For example, guests attending business meetings and receptions at the Marriott Marquis around the corner are routinely shown to bowls of stale, picked-over potato chips and trays of watered-down sodas when they had been expecting something a little more upscale and perhaps even a smidgen of caviar and a drop or two of Don Pérignon. In the case of Matilda, however, the suits at the Marriott evidently possess enough bon sens to realize that she is a valuable jewel in the crown of their financial empire. "She stays, of course!" the Algonquin's Marissa Mastellone caroled to The New York Observer on September 20th. 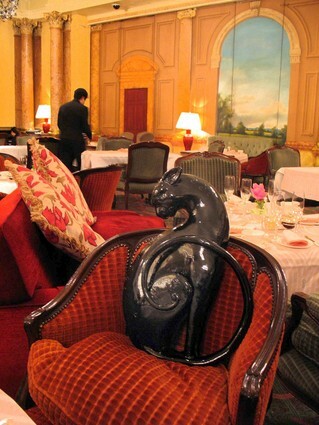 (See "Matilda the Cat's Position Secure at the Algonquin, New Partnership Notwithstanding.") "She is what helps make us unique and signature enough to make the (Marriott's) Autograph Collection. Matilda is imperative!" Her legions of fans from around the world who either write to her at the hotel or e-mail her at matildaalgonquincat@algonquinhotel.com would sans doute agree. Matilda's assistant, Alice de Almeida, dutifully translates her replies into English and passes them along to her fans. Although he does not have much to say, he has an extremely important job at the Savoy. In particular, he occasionally is called upon to round out dining parties of thirteen so as to ward off any potential bad luck. Such gatherings are supposed to be not only unlucky in general but especially so for the first person to rise from the table. That old superstition was given credence in 1898 when South African diamond mine owner Woolf Joel hosted a party for thirteen at the hotel. Forewarned that he was courting disaster, he laughed off the old superstition but soon after he returned to Johannesburg he was murdered. When word of his untimely end reached London management at the Savoy wisely decided that it would be imprudent to trifle with superstition any longer and accordingly took decisive action. At first a staffer was inveigled to round out dinner parties of thirteen but later Kaspar was recruited for that job and he has been a mainstay at the hotel ever since. That is a small price to pay, however, in order to ward off bad luck and to assuage the trepidations of those who suffer from triskaidekaphobia. In hindsight, bringing Kaspar on board appears to have been a stroke of absolute genius in that as far as it is known none of those who have shared a table with him have met with tragedy. Kaspar also enjoys the rare distinction of having been at one time under the protection of Winston Churchill. That was after he was stolen by members of the Royal Air Force and Churchill superseded on the hotel's behalf in order to secure his return. 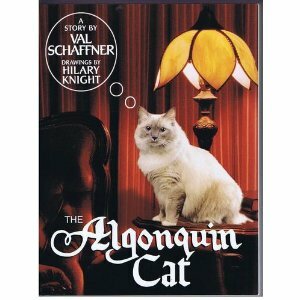 In addition to their love of cats, both the Algonquin and the Savoy also have strong ties to the literary world. The former, for example, is famous for its literary roundtable which was comprised of the likes of playwright Robert E. Sherwood, humorist Robert Benchley, and poet Dorothy Parker. To this very day the hotel still gives discounted lunches and rack rates to noted authors. The Savoy, on the other hand, has a writers in residence program which currently includes feminist author Fay Weldon and children's author, Michael Morpurgo. In fact, Morpurgo's children's book, Kaspar: Prince of Cats, recants the story of an eponymous cat that stayed briefly at the Savoy before embarking upon an around-the-world sea adventure. Along with its structural adaptation to the twenty-first century, the Savoy now has instituted what is believed to be the world's inaugural blogger in residence program and the first recipient to be so honored is actor and comedian Stephen Fry. Photos: Algonquin (Matilda on chair), The New York Observer (Matilda), Amazon (book jacket), and Susan Lendroth of the Los Angeles Times (Kaspar). "Das geht bei aller Tierliebe zu weit. Das finde ich auch den Angehörigen gegenüber, die wirklich einen Menschen im Straßenverkehr verloren haben, befremdlich." Roadside memorials in honor of individuals who have been killed in motor vehicle accidents are a common sight and have been around for a long time. Memorials for cats run down by unconscionable motorists are, on the other hand, a fairly new development. 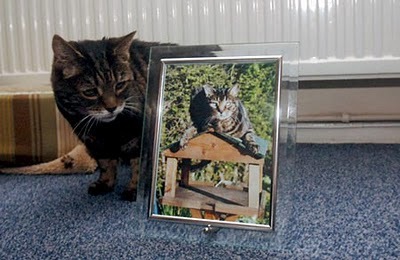 As is the case with just about all things pertaining to cats, these memorials are providing another golden opportunity for enemies of the species to crawl out of the woodwork and vent their spleens. That is what recently occurred in the borough of Körbecke in Möhnesse where Heinrich-Georg Trelle of the Abteilung Straßenwesen (Street Maintenance) for the district of Soest in Nordrhein Westfalen ordered one such memorial to be removed and destroyed. Whereas roadside memorials to humans are largely tolerated throughout Deutschland so long as they do not either endanger motorists or interfere with normal street maintenance, the one in Körbecke got old Trelle's goat. "Das geht bei aller Tierliebe zu weit," he declared to the Soester-Anzeiger on September 16th. (See "Ein Kreuz für eine Katze.") "Das finde ich auch den Angehörigen gegenüber, die wirklich einen Menschen im Straßenverkehr verloren haben, befremdlich." Those certainly are odd sentiments coming as they do from a man who professes to own a trio of cats himself. Of course, it is possible that the cats belong to either his wife or children and that he actually hates their guts. Anyway, he gave the Bauhof des Kreises (district construction department) a week in order to dismantle and remove the memorial. So far, the local media have not contacted Jule's bereaved owner for either his or her reaction to this unfair, heartless, and capricious exercise of administrative power. Furthermore, Trelle is so hypocritical that he praises roadside memorials erected for humans as having a greater impact upon speeders and other reckless drivers than do speed limit signs. If that is indeed true and such memorials do save human lives, the same unquestionably is true for cat memorials. In fact, any cross planted alongside a road has a reverential effect upon some religious individuals. Likewise, they neither endanger the motoring public nor interfere with street maintenance any more than memorials erected in honor of humans. The truth of the matter is that Trelle does not consider the lives of cats to be either worth saving or commemorating. 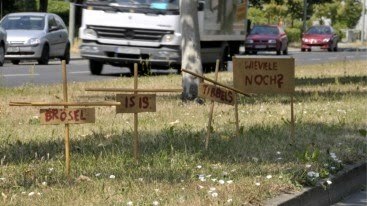 Earlier last summer, forty-seven-year-old Andreas Schidlowski from the Oberschöneweide section of the borough of Treptow-Köpenick in Berlin erected three wooden crosses and a couple of signs in the median of a busy street near where he lives in memory of his cats, Brösel, Isis, and Tibbels. He is now advocating for a thirty kilometer speed limit for the street. "Alle hat es am selben Ort erwischt, innerhalb von ein paar Monaten," he related to the Berliner Zeitung on July 5th. (See "Katzen-Friedhof auf dem Mittelstreifen.") "Diese verdammten Raser! Wenn ich könnte wie ich wollte, würde ich diese Straße zur Tempo-dreißig-Zone machen." Schidlowski is hopeful that the authorities will allow his memorial to his dead cats to remain in situ but the recent developments in Möhnesse cast considerable doubt on his prospects. Her emotional response came after a speeding motorist veered into a bike lane in order to run down and kill one of her cats. 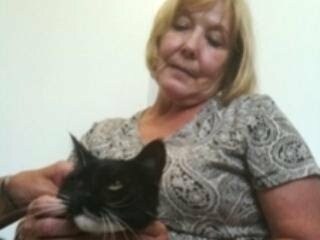 Two more of her cats also were struck by motorists along about the same time. "People fly down this street and they don't care. You don't want me to kill your kids, don't kill mine," she told the News-Sentinel of Lodi on May 23, 2009. (See "Lodi Resident Puts Up Sign to Tell Drivers to Pay Attention.") "I don't come to your neighborhood and do this stuff. It's Lodi for God's sake! It's not Stockton. It's not East Los Angeles." She has a good point in that motorists doing sixty-five miles per per regularly cruise through her neighborhood where the posted speed limit is only thirty-five miles per hour. Besides killing cats, they also are endangering the lives of children who attend classes at a nearby school. The public furor engendered by her hastily chosen words prompted Teixeira to take down the sign and replace it with one that read: "I Watch Out for Your Kids, so Please Watch Out for Mine." She later erected a third sign which read: "God Have Mercy on Your Souls." While local residents and the capitalist media were quick to condemn Teixeira, none of them had the decency to utter so much as a syllable of condolence over the loss of her beloved cat. "I don't mean to offend anyone, but I don't see anyone apologizing for the loss of my animal," she added in the interview with the News-Sentinel. More to the point, if the thoroughly worthless, criminal, and evil police would do what they are getting paid to do and enforce the laws of the road the lives of innumerable cats and other animals could be spared. The same rationale is applicable to a fair share of the more than five-thousand pedestrians who are killed annually by American motorists. It is axiomatic that if the authorities are not going to enforce the laws criminals are going to run roughshod over everyone and everything. Nevertheless, the knee-jerk response from most Lodi residents was to condemn Teixeira for attempting to protect her cats. "I can't just let her (my cat) die in vain for nothing," she told KXTV-News 10 of Sacramento on May 25, 2009. 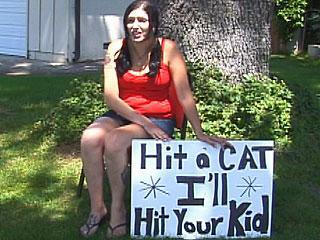 (See "Lodi Woman: 'Hit a Cat I'll Hit Your Kid'.") "Someone needs to stand up to these people." "It's a wonderful law. I'm glad they realized there was a need and did what they could to help," local Animal Control officer Pat Liptak said on that historic occasion. "There are probably twenty other places in the city where we could use the signs. 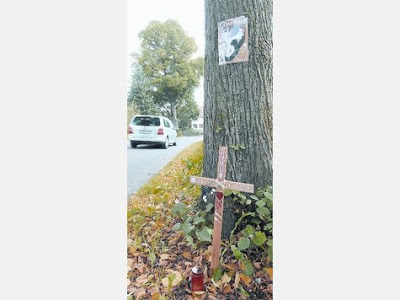 Cats are getting killed all the time but Erna Avenue was one of the worst spots." 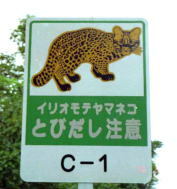 Whereas cat crossing signs and roadside memorials are steps in the right direction, motorists who refuse to yield to cats and other animals should be ticketed and arrested. First of all, the animals have a right to live and, secondly, their safety is far more important than the vile shekel chasing and pleasure-seeking pursuits of kamikaze motorists. It additionally could be argued with some force that cats are more deserving of roadside memorials than humans due simply to the fact that they are innocent and unwitting victims of man's incurable love of violence. People, on the other hand, knowingly choose to travel the roads even though they fully realize the dangers involved in doing so. Through a liberal indulgence in bigotry, greed, and violence, man demonstrates time and time again that he is by far the most contemptible beast on the planet. Moreover, to intentionally destroy the natural world just so that he can race around in his cars displays a disturbing lack of both intellect as well as appreciation for that which is both beautiful and eternal. More generally speaking, something desperately needs to be done about the anarchy that exists on roads all over the world. Most notably, speed restrictions and stop lights are routinely ignored with impunity. On top of that general disregard for the laws of the road, motorists eat, booze, dope, text, and gas on the telephone while driving. Furthermore, it is not uncommon to see drivers reading paperbacks, shaving, combing their manes, and putting on makeup while flying down the road. Others have been spotted pruning their toenails and adjusting their tank tops. As things now stand, the streets and roads are a no man's land for both animals and pedestrians. Cars and trucks keep getting larger when they should be going in the opposite direction and this development not only wastes fuel but makes the roads even more precarious. Additionally, auto emissions have replaced factory pollution as arguably the greatest threat to public health. If individuals selfishly insist upon clinging to the independence provided by a motor vehicle, they should be willing to accept smaller, energy efficient, and cleaner-running models. Above all, they should be willing to obey the rules of the road. If not, the automobile should be outlawed and everyone forced to either walk or take public transportation. From the way things now appear, the world is going to reach that critical juncture anyway just as soon as it either finally runs out of petrol or the air becomes too dirty to any longer support life of any sort. Photos: Soester-Anzeiger (memorial to Jule), Sven Meissner of the Berliner Zeitung (memorial to Brösel, Isis, and Tibbels as well as Schidlowski and Trigger), Rheinischen Post (Wuschel and Beauty), KXTV-News 10 (Teixeira with sign), Connecticut Post (Moore and Caufield with cat crossing sign), and Kanpira (cat crossing sign on Iriomote). "The entire bottom jaw was blown off. There was no bone left. It was just pulp. The injuries were horrific. She lost a huge amount of blood." An act of animal cruelty was committed at 6:30 p.m. on September 15th on Cardiffbridge Road in the Dublin suburb of Finglas that was so horrific it is even painful to describe. On that occasion, a group of punks held down a small tan-colored female pet terrier believed to be between two and three years of age, fastened a firecracker in her mouth, and lit the fuse. "There was no alternative but to put it to sleep," Aungier added. That is, of course, a debatable point even though the dog was without a doubt in unimaginable pain and in all likelihood had suffered brain damage and other internal injuries as well. Through a liberal application of painkillers and antibiotics, emergency surgery, and intravenous fluids the veterinarian could have stabilized her condition and possibly even saved her life. Nevertheless, the cost of keeping her alive would have been astronomical, her recuperation lengthy, and her long-term prognosis uncertain. The veterinarian perhaps made the correct decision but an attempt nonetheless should have been made in order to save her life. She could have been put out of her misery at a later date if her suffering had not abated by then. So far, the dog's owner has not come forward in order to claim her remains and that is both sad and suspicious. Since dogs generally are not allowed to walk the streets alone, it thus would appear that her assailants either knew or stole her. "We are in shock and appalled," Aungier told the Independent in the article cited supra. "It also highlights the danger of fireworks being so easily available, even though they are illegal." As far as it is known, no arrests have been made in this disturbing case. A web page entitled Find the Thugs Who Set Fireworks Off in Dog's Mouth was established shortly after the attack but Facebook for some unexplained reason is not allowing it to be updated. Nor has any additional information regarding the attack appeared in the Irish press. If past history is any guide, it is doubtful that either the police or the DSPCA are even bothering the investigate the dog's murder. Like the dog in Dublin, she was held down while a firecracker was rammed into her ear and fastened into place before being lit. The blast blew away her left ear and the back of her head. No arrest ever was made in Sparkles' murder and it is highly unlikely that either the police or humane officials even attempted to find her killers. Both cat and dog lovers can only hope that public pressure now will force them to do what they should have done back then. After all, since Arklow is only seventy-one kilometers south of Dublin it is conceivable that the same group of no-good, rotten scumbags are responsible for both animals' deaths. Should that ever be proven to be the case, the authorities through their dereliction of duty would be every bit as much to blame for the dog's death as her attackers. Incidents of animal cruelty rarely occur in a vacuum. Individuals who abuse a cat or a dog usually have assaulted others as well and, quite often, even individuals. It is not always possible to connect all the dots and thus establish a pattern of abuse and violence but it nevertheless usually is present. Despite all of that, humane officials and the law enforcement community cannot be stirred with a stick. 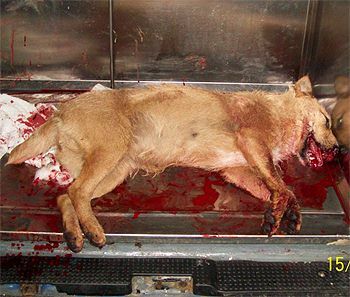 It therefore is time that they were replaced by new organizations that are committed to ending animal abuse. Whereas animal cruelty is at epidemic proportions everywhere, it is especially bad in both the Republic of Ireland and Northern Ireland. For example, on February 22nd of this year ten punks fed a seven-month-old kitten named Bailey to a lurcher in Strabane, County Tyrone, Northern Ireland. As far as it is known, no arrests have been made in that case either. Additionally, organized gangs have been stealing cats and feeding them to lurchers for years in the Creggan, Waterside, and Shantallow sections of Londonderry. The Irish's abiding love affair with the bottle also plays a role in their attacks upon cats. For example, on September 7, 2008 a drunk outside a bar in Limerick beat, stabbed, and threw a kitten to her death against the side of a house. The rot in Ireland is by no means confined to punks and drunkards but rather extends to the higher echelons of society as well. For example, last year Birdwatch Ireland crowed, strutted, and preened like a vainglorious peacock after it had rounded up and exterminated all the homeless cats on Tory Island. Even the DSPCA is unwilling to protect cats. For example, when it learned that pest control companies hired to remove and kill cats in and around Dublin instead were humanely sparing their lives by relocating them elsewhere Aungier was livid. 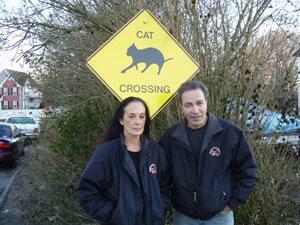 "We believe cats are being taken from one location to another and released. We recognize that colonies of stray cats can create problems when they start inbreeding and producing large numbers of kittens," she pontificated to The Times of London on September 14, 2008. (See "Stray Cats Being Dumped on Estates.") "But releasing them in another area just moves the problem." The petit fait that hired killers have more compassion for cats than does the DSPCA is a staggering indictment of that phony-baloney organization. Furthermore, Aungier apparently dislikes dogs every bit as much as cats in that she refers to the dog recently killed as "it." Neither humane officials nor the police in Ireland can any longer camouflage their gross dereliction of duty by hiding behind meaningless moral indignation and highfalutin rhetoric. What is needed is action, not more blarney. The cretins responsible for killing this beautiful dog should be mercilessly hounded down and made to pay in spades for their monstrous crime. That is paramount not only in order to avenge the dog's death but to protect other cats and dogs as well. Anyone who cares the tiniest bit about animals can only be sickened and angered by what was done both to this dog and to Sparkles. Moreover, there is something sorely lacking in any society that would not be willing to move mountains in order to get their assailants off the street and into permanent jail cells. Photos: Irish Independent (murdered terrier) and Belfast Telegraph (Sparkles). "The thing is the fence is not necessary because it is in front of a seven-foot-high concrete fence. It's bad enough that Jack was hurt but it could have been a child." Fences topped with razor wire are not the only ones that pose a serious health threat to cats. Old-fashioned, steel structures outfitted with sharp, protruding spikes can be every bit as lethal. At last report Jack's injuries were healing well and he is expected to make a full recovery. It will, however, take several months for the fur that the vets shaved away to grow back. "The firefighters were great," his owner, thirty-two-year-old Nicola Milbourn, told the Daily Mail on September 9th. (See "Nine Lives? Lucky Black Cat Jack Is Down to Eight after Surviving Being Impaled on a Rusty Fence.") "They cut Jack free and we were able to rush him to the vet where they carried out the operation." Fearing a repeat performance involving either Jack or some other unfortunate cat from the neighborhood, Milbourn has asked the Rotherham Council to order that the fence be removed. "The thing is the fence is not necessary because it is in front of a seven-foot-high concrete fence," she told the Daily Mail. "It's bad enough that Jack was hurt but it could have been a child." On June 21st in Cypress, California, a twelve-week-old kitten named Bridget came within a fraction of an inch of meeting her Waterloo when she slipped and became impaled on a razor-wire fence strung between two buildings. As a consequence, she suffered severe cuts to her paws, back, and abdomen. Like Jack, most of her fur was shaved away and she was placed in an Elizabethan collar. After she was released from VCA Lakewood Animal Hospital in Cerritos, she was handed over to Fuzzy Dog and Cat Rescue of Santa Monica which had consented to be responsible for her recuperation, $1,300 veterinary tab, and for placing her in a good home. Whereas it is primarily the responsibility of cat owners to scour their neighborhoods for dangerous fences, landlords also have a duty to ensure that their properties are safe for both animals and individuals that wander in unannounced. Not only is that the humane course of action but it is the prudent one as well in order to avoid potential lawsuits. More to the point, razor wire and metal spikes are not only eyesores but obsolete as security measures. Landlords accordingly would be doing both themselves and cats a huge favor by removing them. Finally, it does seem a trifle odd that since cats are such surefooted creatures that so many of them are tumbling off of fences. It therefore is conceivable that ailurophobes could have thrown objects at both Jack and Bridget and thus caused them to stumble and fall. Also, they could have been frightened by either a dog or some other animal. Even sudden loud noises might have been sufficient in order to have startled them. Because cats are inclined to seek out higher ground so as to avoid being stepped on, they are quite naturally attracted to fences of all sorts. With that attraction, however, also comes a myriad of dangers. Photos: Arncliffe Veterinary Center and the Daily Mail (Jack impaled) and Ross Parry Agency and the Daily Mail (Jack in an Elizabethan collar).